As anyone who works or shops in Central Milton Keynes knows, car parking is at a premium. Drivers who have been lucky enough to be given allocated parking places either in a corporate car park, or as an employment perk, know that a parking spot you can count on each day is like gold dust. Not only does stress-less parking drive your blood pressure down, it also heightens your sense of well-being and allows you to enjoy your drive into work as part of your preparation for the day ahead. A calm, centred employee is likely to be far more effective than one who has spent the best part of an hour battling to find somewhere to park. • Providing secure parking for employees. • Restricting access to the car park to privileged users. • Creating a safe environment for employees who may be arriving or leaving work in the dark. • Getting tough on car crime. • Giving the right message to visitors; we want people to know that we take physical security seriously. There is no ‘one size fits all’ when it comes to installing security barriers. Many of our clients lease car parking spaces and they have found that our parking bollards are an excellent protection against the illegitimate use of privileged access spaces. If your business has a discrete space for parking which you wish to control, we can provide automatic or manual traffic barriers; these can be designed to suit the aesthetic of the operating environment as our car park security barriers come in a range of colours and designs. All of the automated security barriers we install come with standard safety features such as anti-crush hydraulic safety devices and hydraulic locks. Whilst the focus will naturally be upon the security of vehicles when it comes to installing automatic barriers, we always take the time to discuss with business owners the security of pedestrians and drivers accessing their cars. A space full of parked vehicles provides the potential for multiple hiding places for attackers or thieves and violent assaults which take place in the car park environment are a common occurrence in the local news. If you are managing a car park which will be accessed out of hours by employees, or which has no surveillance system, we would recommend the installation of automatic turnstiles which require an access code to operate, or a CCTV system and security lighting. The 1st Choice Security Systems team understands that security isn’t just about keeping the bad guys out; it’s also got a lot to do with keeping employees safe and protected whilst they’re at work. Knowing your employer cares that you’re able to park your car safely and access your vehicle without fear of attack – day or night – means that you’ll work your hardest, give of your best and go the extra mile when necessary. 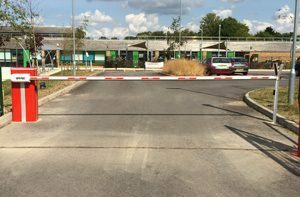 If you’re currently looking for a car park barrier solution in Milton Keynes, Bletchley, Stony Stratford, Wolverton, Newport Pagnell, Woburn or elsewhere call 1st Choice Security Systems today on 0800 118 2414. 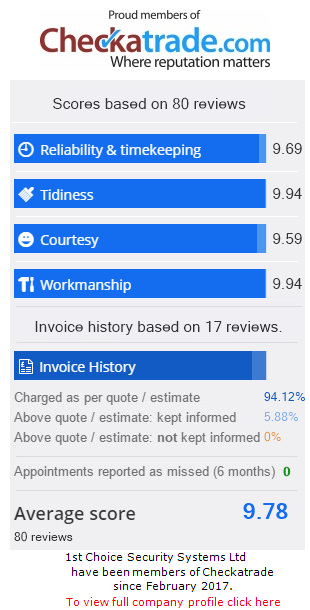 Not only are we able to offer professional advice in abundance, but we are also able to offer a fully bespoke service that is both professional and cost-effective.